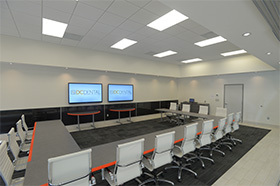 DC Clinical was founded to help bring excellent post-graduate learning to progressive dentists. A DC Dental company, DC Clinical is here to help dental professionals “Practice Savvy” by delivering enriching and skill-building topics via webinar or in-person courses. Read on to learn about our learning products and DC Dental as a whole. Worthwhile post-graduate education is priceless, so we decided to simply make it free. Endodontics, Implantology, Sleep Apnea, Esthetic Dentistry, Conscious Sedation, Orthodontics and more – all topics chosen to empower you with revenue-boosting skills to take back to the office for immediate implementation. Now, enjoy agenda-free learning from nationally and internationally-renowned clinicians and gain AGD-approved credits from the convenience of your home or office. DC Clinical - What's In It For You? We are thrilled to have Dr. Lisa Germain at the helm of DC Clinical. Dr. Germain serves as Clinical Director for DC Dental and has an active endodontic practice in New Orleans, LA. She has an established reputation not only as a skilled clinician but also as a renowned educator, lecturing worldwide. You can read more about Dr. Germain here. These days, it seems that much of the free dental education available comes in the form of thinly veiled commercials. Our world-class faculty pledges to deliver agenda-free information on topics that matter to you and your practice – and no one else. The unbiased education is purely free but if you appreciate the quality of the courses, please drop a line to DC Dental. We’d love to demonstrate how well we can serve your practice and provide significant savings on supplies, technology and equipment. Especially in today’s economy it is important that our customers know that they getting the best prices on supplies that deliver the highest value. DC offer’s the familiar big name brands but our reps will also let you know when a lower priced item can provide equal or better results. By using the latest technologies and innovative systems to keep our overhead low and by purchasing our products in the most cost-effective quantities, we can pass significant savings on to you. Savings that add to 20-30% below the mega-dealers. DC Dental inventories more than 20,000 of the most commonly used dental products and is an authorized distributor of over 100 of the most respected manufacturers in dentistry. Our in-stock selection means that orders placed before 4:00pm EST usually ship out the same day from our Maryland warehouse. The most important ingredient in our recipe for success is our commitment to providing the highest level of customer service in the industry. If you need help placing an order or have general questions, we have a knowledgeable and dedicated staff of dental supply experts a phone call away waiting to help you. Call (877) 653-7500 or e-mail sales@dcdental.com with any questions you have. We’ll be glad to assist you!